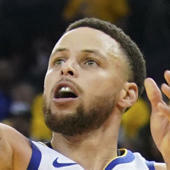 Mills is starting Wednesday's game against the Warriors, Jeff McDonald of the San Antonio Express-News reports. Mills will get the start with Derrick White (heel) ruled out for a second-straight game. If White ends up missing an extended period, Mills would be the next man up and would likely see a significant boost to the 23.7 minutes he's averaging this season.